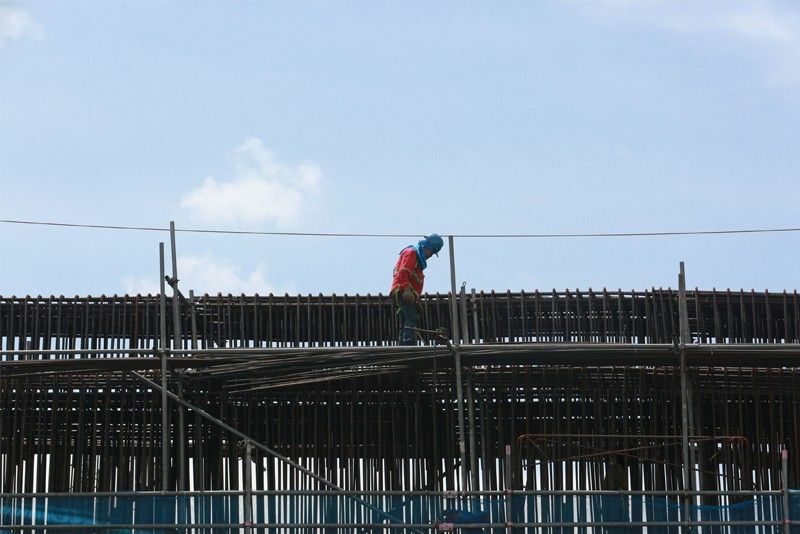 A worker pictured at construction site of Skyway in G. Araneta in Quezon City on July 3, 2018. Widely known as the “Build, Build, Build” program, the government plans to ramp up infrastructure spending to 7.3 percent of the country’s gross domestic product by the end of President Rodrigo Duterte’s term in 2022. MANILA, Philippines — The country’s socioeconomic planners on Thursday defended the pace that President Rodrigo Duterte’s ambitious infrastructure program is being implemented, amid concerns that shovels haven’t moved and the cranes aren’t up yet. Duterte has vowed to upgrade the country’s dilapidated infrastructure through his administration’s P8-9 trillion “Build, Build, Build” program. The government has lined up 75 flagship projects under the aggressive infrastructure plan, seven of which are already under construction. At a press conference, Socioeconomic Planning Secretary Ernesto Pernia said the Duterte administration managed to implement 43 out of the 75 big-ticket infrastructure projects in just two years, which he said was a “a pretty good batting average.” The government considers budgeting, financing, detailed engineering and procurement of a project as part of implementation. “You know an example is in the previous administration. Many projects were delayed by up to three years... two and a half years... one year. So this time we are trying to minimize those delays,” the government’s chief economist said. “Let’s not look at the 75 flagship projects only, let’s look at the projects in the regions and of the 11,979 projects which, by the way, most of these are infrastructure projects,” National Economic and Development Authority Undersecretary for Regional Development Adoracion Navarro said. “That should add to the picture of the state of project implementation under this administration," Navarro added. To avoid delays and higher project costs, the government has shifted from public-private partnership as the primary mode of financing and has relied more on public funding and official development assistance. Data from the Department of Finance show 10 of the 75 flagship infrastructure projects of the Duterte administration are set to begin implementation in the latter half of this year. “Seven is the physical construction. But you should not do us a disservice by saying only seven have started construction,” said NEDA Undersecretary Rolando Tungpalan. “This pace of movement from approval to getting implementation is a hastened pace... I think you will see the cranes and the heavy equipment on the ground towards the end of the year,” Tungpalan added. Last July, the Washington-based multilateral lender said the Philippine government’s ability to carry out its investment spending agenda will determine if the country can achieve its growth target of 6.5-7.5 percent over the medium term.